After winning the past two city championships, Northside’s Pom-Pon team was looking to make it a three-peat. This year the competition was held at Whitney M. Young Magnet School on Jan. 13. The CPS Dance competition is divided into three categories: Small, Large, and Hip-Hop. 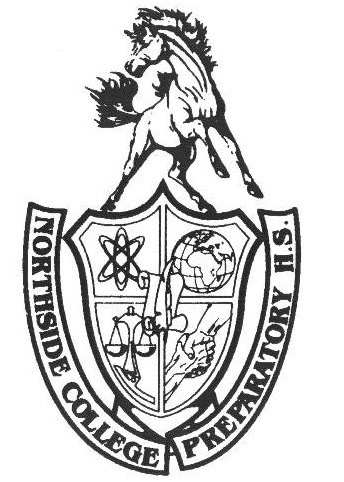 Northside was to compete against Northtown, Morgan Park, and its long-time rival, Taft, in the small division. Morgan Park dropped out of the competition before the day began. In the large category, five schools competed, including Walter Payton, Lane Tech, and Solorio, which occurred after the small division. Hip-Hop was the last category of the day and included a total of twelve schools, including Jones, Whitney Young, Amundsen, and Lindblom. The large category was won by Walter Payton, while the Hip-Hop category was won by Whitney Young. Northside’s Poms team recently changed coaches, Mr. Mark Thompson, Math Department, became the new cheerleading coach and Ms. Elizabeth Duerst, Special Education Department, took over the poms team. The captains for the 2018-29 season are Kimberly Grabiec, Adv. 902, Sahithi Gangavarapu, Adv. 907, and Jill Mark, Adv. 108. With choreography composed by the captains and Ms. Duerst, the team, sporting new uniforms, was anxious to hit the floor. After the championship, poms still had the pep rally performance and IHSA sectionals the following week. Although they did not advance to the IHSA State Competition this year, Northside might head south for the IDTA State Final. IHSA pits poms, hip-hop, lyrical, and jazz teams against each other, often scoring lyrical routines as the highest. IDTA has categories for jazz, hip-hop, lyrical, pom, pom/dance, flag, and more. Northside hopes to qualify for the pom/dance category in the following weeks. You can still catch the poms team practicing in the second floor atrium as well as performing at basketball games. Senior Jayson Coy, Adv. 905, said “Even though we didn’t do as well as I would’ve hoped, I’m still very proud of us as a team and how much we have grown together with Ms. Duerst as our new coach. I have no doubt that poms will get better with each year and I am excited to come back next year to see how things change!” Seniors Grabiec, Gangavarapu, Kamal, Coy, Mofopefoluwa Idowu, Adv. 910, and Hannah Shipley, Adv. 911 may have finished their competition days at the City Championship and the IHSA level, but have paved the way for the future of NCP poms.